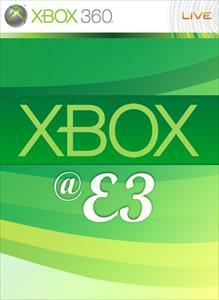 Get your E3 2010 Xbox LIVE backstage pass with exclusive coverage of press releases, game demos, interviews and behind-the-scenes videos. Firefight is back and better than ever. To get your drool on, go ahead and salivate over a Firefight that's fully integrated into Halo: Reach's matchmaking and topped off with an insane side of complete player customization, right down to each Set, Round, and Wave. And that's just the beginning of the control you have over the experience. While you ponder the endlessly deadly possibilities, go ahead and sink your teeth into this piping hot trailer, fresh out of Bungie's frying pan. Going above and beyond is standard operating procedure for the Spartans of Noble Team, but even they weren't prepared for Operation Uppercut. Backs against the wall and facing the full might of a merciless Covenant invasion force, Noble Six must rely on his unique skill set and his previous involvement in ONI's top secret Sabre program to launch a last ditch surprise attack against the Covenant fleet in the last place they expect to be met by strong resistance. And since you weren't on hand to witness this trailer's maiden voyage at this year's E3, Bungie brought back some footage so you can relive the launch sequence.